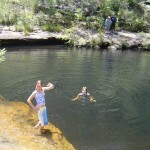 Sydney South, NSW has numerous bushwalks ranging from large hikes to short walks. 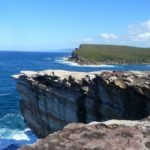 The Royal National Park is well worth a visit. It will take you a while to get through all the different walks available. 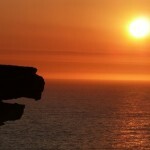 Trailmaze’s Best Bushwalks in the Royal National Park. A side bar on the right which contain quick links for you to click on. A scale-able map where you can zoom in and out to find the region your after. Once found click on the walk and it contains a link to the page that has the details on the bushwalk. 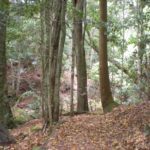 The bottom of each map contains all the bushwalks with a very brief description and a link to the page with the details about the walk. So there are a variety of ways to find the walk your after. 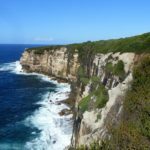 At the moment most of the walks are focused on New South Wales. I’ll start to update more walks around the country. The map below contains some excellent walks to explore. Use the plus and minus icons to zoom in and out on the map. Hope you find the information you were after. Difficulty: Easy 80%. A couple of sections medium. 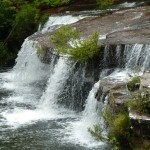 Where: Morton National Park, north of Kangaroo Valley. Approximately 1hr 45min from Sydney. See map for details. 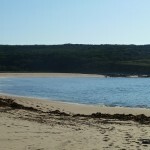 Snapshot of Forest Island Royal National Park. Difficultly: Easy from end of Lady Carrington. Difficult from Waterfall station. Snapshot of Audley, Engadine Bushwalk. Difficulty: Hard at the start of Grays Point. Medium from there on. Where: Next to Grays Point public school. 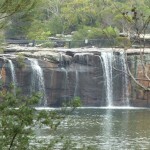 Or start at Audley in the Royal National Park. 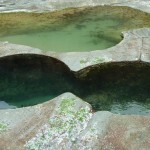 Where: Royal National Park, near Waterfall Station. See map for details. Where: Trail head, Bundeena end of Beachcomber Avenue. 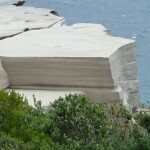 Where: Trail head, Warumbul Rd, Royal National Park. Where: End of William St, Bundanoon. Difficulty: Easy, harder on the way back in the dark. Distance: Approximately 2km all up. Where: Bungonia National Park, see map below for details. Difficulty: Medium most of the walk. 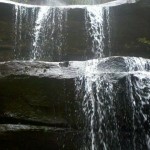 Hard to waterfall. Royal National Park Coast Track.